Proud to be a Sikkimese: What actually happened with Priyanka Tiwari, air hostess at Kingfisher Airline in Kolkata ? 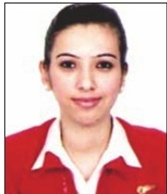 What actually happened with Priyanka Tiwari, air hostess at Kingfisher Airline in Kolkata ? LAWS ARE MEANT FOR ALL NO MATTER IT IS RICH OR POOR SECTION OF SOCIETY IN REPUBLIC COUNTRY INDIA. 25 March, Namchi: A 22 years old girl from 5 Mile Tadong, Sikkim was working in a reputed Kingfisher Airline in Kolkata, she lived in one of the rented room at Dumdum according to her parent. The deceased father, whose name is Kanhaiya Tiwari, works in HRDD Department Govt of Sikkim in a post as Deputy Director. According to deceased father’s statement his daughter always informed over phone about her daily routines either to her family. She was dedicated towards her work and never during her span of life was she alleged in any unfair things. Being a honest daughter she kept informing about herself in daily basis over the phone. On 5 March she called up to her father saying that she is very pleased and excited since on same day on her duty as an air hostess had met Bret Lee, Australian cricketer in a plane. She also said over the phone that she have received an autograph from Bret Lee for her brother. During the conversation she mentioned that she will be going out for a dinner tonight after 8:00 PM, as stated by father. She also said that she has received a 2nd position in “Best Crew Staff” felicitation during the conversation on her last call. Priyanka further told her father that she would be coming to home on 14 April for which she is also doing shopping. On the next day 6 March in an office a phone call comes from the deceased sister who also is working in DIET HRDD Gangtok , the father received a call where his elder daughter sounded truncated crying that “Priyanka …” , having not completed a word by elder sister phone was disconnected. Father inquired that her daughter is no more, she has committed a suicide by hanging in her room, the information was made to father by Priyaka’s roommate Prakriti Chandra, a girl who have been staying with deceased since last two years. On the same day a phone call was received from ASI Papan Das a police from Kolkata where Papan Das shouted saying take the body back home within 10 hours else will be charred. The cranky tone of Kolkata Police Officer was unexpected like something cat and dog has died not a human being. Deceased from the several police authority sources in Sikkim contacted Kolkota Police to give a time since Sikkim is very far from Kolkata, while immediately within a short time family cannot reach there. In between Mr Suren Pradhan a senior police officer from Sikkim made all possible contacts in Kolkota to withhold the dead body as such a family could reach to there for taking back the dead body. A cooperation from Bhaichung Bhutia was immense otherwise they could have destroyed my daughter’s body, said the father. Bhaichung Bhutia, reputed Indian footballer paid attention towards the family and seek authority help in preserving the body in unless family member reaches there. On 8 March deceased father reached the spot where his daughter used to live in a rented room, the roommate said that she committed suicide by hanging. The dead body was on the police custody on 6 March night itself. Interestingly father said that no any suicide note as such was found in an incident which can claim that it was a suicide case. Having investigated the entire room by father, he informed that at no cause she could commit a suicide and the ceiling itself is around 14 feet high, there was no any chairs not table in the spot. Father also alleged that how could five feet tall girl reach ceiling; there was no any sign of wounds in the body as such. Father alleged that roommate is confusing the whole case where the roommate alleged that Priyanka had an affair with a person named Akash Gupta, who indeed is a married and has two children; Prakriti admitted that same person was her boyfriend previously. Father said that he was very thankful towards the Officer In charge of Kolkota Police Mr Gautam Mitra who in fact was soft on the case and delivered all possible help during the operation and assured to drag the culprit behind the bars sooner. Before informing to the police the roommate hailed for a help to Akash Gupta she said, where Akash Gupta broke into the room from the windows pane inside the room of Priyanka where she was already dead, she also said to deceased father that Akash Gupta escaped from the spot after breaking inside a room due to fear that police may interfere him into the case. Astonishingly the very spot where Priyanka committed suicide was left unattended by police, if case was legitimate why did not the police seal the room said father of deceased. On other hand a Prakriti called back to deceased sister at home in Gangtok not to indulge into a controversy since the person called Akash Gupta is high profile, who is very rich and has a good network with various authorities. She also mentioned that she had falsely said name as Akash Gupta but his exact name is Subham Gupta. Prakriti also said that said the person pays monthly rent of Rs 18 Laks which itself should be estimated how powerful he is? Prakriti also told to deceased sister to tell her father to return back from Kolkata as soon as possible without putting matter into dispute which at last will go in favour of Subham Gupta due to his strong hold. On 8 March cremation rituals in Kaligath was done, one the next day FIR was lodged on the suspected death of his daughter. Meantime ASI Papan Das in the police station tried all his effort to distract the evidence, and even now the mobile phone of deceased is seized is under police custody, said the father. The autopsy report is still waited which shall reflect the cause of unnatural death of his beloved daughter. On 9 March father returned back to Sikkim with desperate heart, he said that such incident can happen to any one of innocent girls from the hill in Kolkata, no matter my daughter met a fate I shall not let that happen to anyone in future. Having strongly condemning that he shall raise a concern from all corners to unveil the culprits and throw them behind the bar. Father alleged that there is a very good network of team in the murder case, which will take no time to disclose if media and enquiring agencies take a stern action. Benefit of doubts that leads the matter as a suspicious mystery murder. 1. Priyanka Tiwari was good natured girl as per the records in her past life in School days to collective social evidences. She was indeed felicitated second ranking by her reputed company in regards to her experience and capability as a “Best Crew Staff”. 2. In her several conversations no such case of any depression or mental instability heeds which indicates she may or might pursue a crucial step as such. What heeds insight Dinner night? 3. Being a roommate since last two years the girl called Prakriti Chandra tried misinterpreting information in each episode of interrogation with the family members. 4. In any form a humanity do exists towards the looser be it a law of any country indeed, the ASI Papan Das’s telephonic call to the family members in such cranky tone itself make situation more re-thinkable. How can it be possible for family members to take a dead body in such geographically far from the state that too abruptly without taking a decision from elderly or comprehensive follow-ups? 5. The day the suicide was done why didn’t the police authority seal the spot whereas in the case of Priyanka Tiwari murder case the spot was exactly as normal days? Father turns shocked envisaging such a horrific investigation like some cat and dog has died not a human. 6. Where is the mobile phone of deceased? 7. Why was the news of suicide not made to police having known that inside a room Priyanka committed a suicide? What turned on Prakrita to hail Akash Gupta alias Subham Gupta to break into a room? Why did the person run away from the spot, as told by roommate that he flew away from the scene to avoid legal disputes? 8. Roommate indicates to deceased family that Priyanka had an attachment with the person called Akash Gupta alias Subham Gupta, she even admits the said person was once her boyfriend too! The person Akash Gupta alias Subham Gupta is already a married man possessing two children was told to family members by roommate Prakriti over phone lately. It may be referred to point No.1 where Priyanka is told to have a decent characteristic who indeed shares each and every information to family members no matter it could be with her sister also. In such case a being a responsible women of 22 years of age do not take such steps in any form. 9. Why did roommate make a call to home in Sikkim not to indulge into a case since the case may go in favour of Akash Gupta alias Subham Gupta since he is a well established high profile person from Kolkota, who indeed has a good numbers of contacts to shield all allegations? 10. Why did roommate wanted the father to return back immediately from Kolkata, where father had been there to take back daughter’s dead body. 11. The law is equal for all citizens of India and on top applies to all belonging to whatever class or creed, although geographically Sikkim is a landlocked state in North East, here too people have same rules and regulation that is being followed by entire nation in common platform. I only require my prayers to all the people have emotionally come forward during my daughter’s death and expressed their condolence. I am aged old father of deceased daughter; I want to Law to give me a proper justice as such I may solace my feelings and expression. Power of Money in from of law is nothing; law is for all and applies equally to rich or poor citizen of India. Today I lost my daughter no matter tomorrow someone may do, I shall not let such things happen to other parents. This is very unfortunate and unacceptable. Will pray for her soul and for her family as well. Thank you for updating us with all that's happening in our state and for keeping us on guard. Just one suggestion: The English Language used in the post is grammatically incorrect in several places and the tenses seem to be confusing as well. It would be nice If you could check the grammar before publishing the post. However, thank you for updating us all and I appreciate your effort. Its sad to see that some people are more interested in grammars at this point of time. Don't you think we should be mourning over her death, fighting for justice rather. If you are so much interested in correcting others grammar...a suggestion for you (Avvantika)- why don't you come up with something new about Priyanka tiwari's case, an article having a perfect grammar in it. Kudos to Shital....thanx for updating all of us. i just got into dis blog only after knowing about its recent success in adjudging 2nd place in blog performance.Congratulation! however didn't know so much discussions r on da way about sad incident about our daughter Tiwari. Being a sikkemese i was as sad as the mourning family, when i read dat news in Himalaya Darpan.Sadly enough many of my own friends died mysteriously in different cities of india.mysteries cud nt be revealed as they were just students studying in colleges. Bt in Tiwari's case at least kolkata police shud hav tried to investigate case in time as she was employee of one of the reputed airline companies of da country.Further, we hill dwellers must learn lesson from dis incident dat not to trust others whenevr we r out of our home state. its time 2 wake up.Regarding, comments about dis article Avantika is slightly rt coz, yes article is not a comment post so it must be rechecked before posting it as it becomes a public one, once it is posted.hope u understand wat i mean by 'public one'. Whereas Avantika's advisor is totally rt coz its nt da time to be an editor bt to think n re-think about wat is happening wid us in dis so called republic india. Can we remain complacent n wait for da justice? wat if Tiwari belonged to a poor family n was da only source of family income? My deepest condolence to the family of Mr. Tewari. May her soul rest in peace. My advise to all women working outside their home town -- trust few people. If one cannot find like minded persons then you are better off alone. HANG THE GUILTY PARTY IF THIS IS MURDER.....AND PLZ TO EVERYONE OUT THERE FROM OUR HILLS CHOOSE UR B.F./ G.F. WITH CARE AND AFTER CHECKING THERE CREDENTIALS ESP. WHETHER THEY ARE MARRIED OR NOT.DUH.....! Song of hindi film " Romeo in Sikkim"